The type of bearing selected for operation in a machine determines how it should be maintained for maximum equipment life. Of course, if you installed the bearing, you should know its type and configuration as well as its lubrication requirements prior to operation. Unfortunately, you often do not have the luxury of knowing which bearings are installed, especially with new or rebuilt equipment. This is when reading the bearing number and realizing what it is telling you will become important. 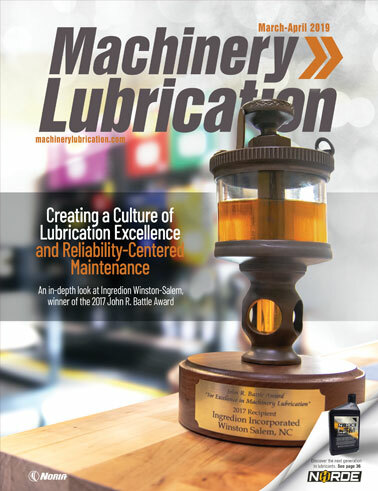 Understanding which bearing type is installed and about to be lubricated is one of the main issues facing lubrication programs today. Frequently, this is overlooked or not given a second thought. Grease-lubricated bearings seem to be a bigger challenge than oil-lubricated bearings, as the configuration tends to have a greater impact on grease than it does oil. This also leads to blindly applying grease to any Zerk fitting that may be apparent. However, just because a grease fitting exists on a machine does not mean it should be greased or have lubricant applied. In fact, greasing components can actually result in a shorter life for the equipment and induce a failure mode. To properly lubricate a bearing, you must first know some key information about it. This would include the bearing type, whether it has additional design features, if it should be lubricated, its size and speed, as well as if it is the original bearing or has been replaced. 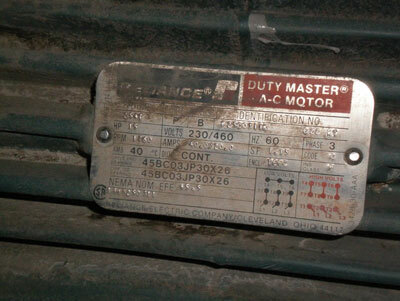 The first place most people look to find this information is in a maintenance manual or on an equipment tag. Many manuals offer all the details you need with exploded views or parts lists. Bearings generally are listed by a set of standard numbers that identify all the specifics, allowing you to order a new bearing or determine proper relubrication activities. A more recent trend is for an original equipment manufacturer (OEM) to provide a generic part number or claim the bearing is proprietary. This requires the end user to order spare parts from the OEM or call a technical center to obtain the necessary information. Although these are more readily found on equipment like pillow-block bearings and electric motors, some pumps, gearboxes and compressors may also have them. 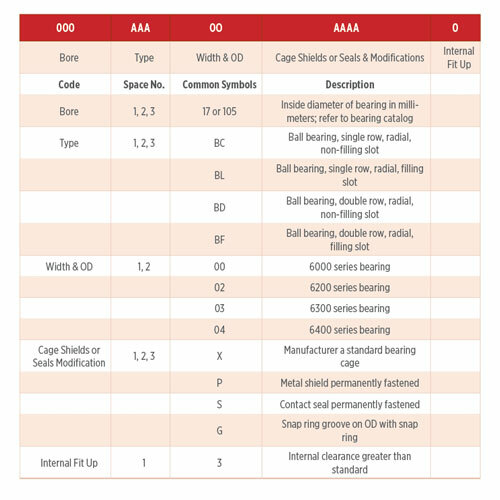 A shorthand code usually indicates which bearing is being identified on the tag. This typically is listed as drive end (DE), non-drive end (NDE) or opposite drive end (ODE). You may also see inboard and outboard bearing or input and output. This refers to a bearing supporting a shaft through the piece of equipment. The motor’s drive end is the side that the shaft is coupled to the component. The back or fan side is denoted as the non-drive end. Thus, the side closest to the motor or coupling is the drive or inboard side, while the other is the non-drive or outboard side. 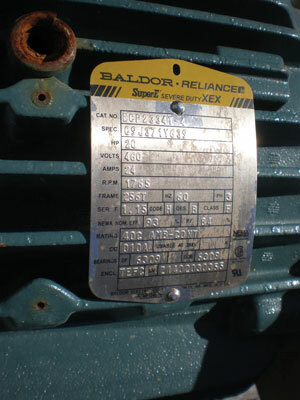 After the equipment tag has been located and the bearing numbers uncovered, you will see a series of numbers and letters. This code is the key to unlocking which type of bearing is in use within the machine. Depending on the manufacturer, the machine’s age and the country in which it was made, the code may be displayed in different formats. Perhaps the most widely used system is employed by SKF bearings. It utilizes a numeric code for the bearing’s basic designation. This will contain many of the details you are most concerned about, including the roller type, size and configuration. A series of letters or numbers will also designate unique features, such as the use of shields or seals and if there are special clearances for this particular component. 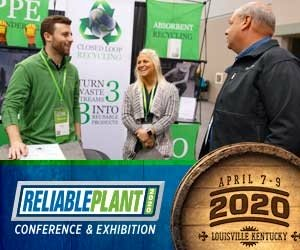 All of this information can be a goldmine when developing a reliability initiative, as each bearing will behave differently and may require different maintenance activities. 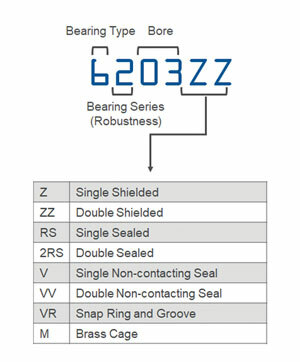 An example of a bearing number in this format would be 6203ZZ. This designation indicates that the bearing is a single-row, deep-groove ball bearing that is for light duty with a 17-millimeter bore and shielded on both sides. The next designation is known as the Anti-Friction Bearing Manufacturers Association (AFBMA) code system. It has similar components in that it utilizes an alphanumeric system to indicate the bearing’s dimensions and configurations. The code starts with the bearing’s bore, which is followed by the type, width, outside diameter and any modifications, such as seals or shields. In this nomenclature, the bearing from the previous example would be denoted as 17BC02PP. Both of these systems, along with a host of others, can be cross-referenced against each other. Published tables are available to assist you in looking up the details for each system. Your spare-parts vendor can help you check this information as well. It generally will be most important to identify these numbers when you are performing calculations for greasing or vibration data. They also can be useful when your equipment needs to be repaired and you want to replace a bearing with the same style or type. Depending on the type of equipment, you may choose to perform rebuilds in-house. This can offer better control over which replacement parts are selected and installed prior to the machine being placed back into service, which is especially critical when replacing bearings. While the same size bearing normally is put back into service, the bearing’s configuration may change. Using a bearing that is different from the type listed on the equipment tag can result in a maintenance-induced failure. An example of this would be switching from a bearing that must be periodically regreased to one that is sealed and should not be greased. If this sealed bearing is installed and there is no indication of it now being a maintenance-free bearing, someone may apply grease to the housing and pressurize the cavity, forcing grease into places where it shouldn’t be. Over time, the grease can build up and cause a failure or contribute to a failure mechanism due to increased heat or drag. Therefore, whenever the replaced bearings are not the same as those that were installed initially, every effort should be made to document this in the computerized maintenance management system (CMMS) or on the equipment. When repairs are made by an outside company, such as a rebuild shop, documentation should be provided detailing which bearing was replaced and what is now in the machine. Many shops can also make new equipment tags so the information on the tag can be kept up to date and accurate. Otherwise, an additional tag must be added to the machine stating it has been rebuilt and offering a shorthand account of what was done or where to find information regarding the rebuild. Working with the shop to create an efficient process for performing and documenting each rebuild will be key to knowing which replacement parts have been installed in your equipment. When I serviced compressors, the work usually was completed after an equipment breakdown. The goal was to get it operating again as quickly as possible. This frequently led to corners being cut and broken parts being replaced with ones that weren’t quite the same as the originals. When the machine would break down again, another technician might replace the part with something slightly different. This often resulted in a significant deviation from what the manufacturer intended or what was required for the machine to run at its peak efficiency. The same thing can happen when bearings are replaced. Although changing certain bearings or their configurations may produce some improvements, if it is done in a silo with no information disseminated to the rest of the organization, it can cause problems in the machine. Replacement parts should be documented on a work order and recorded in the CMMS. While you likely won’t want to update a bill of materials for a piece of equipment if you can’t use the original parts, there should at least be some notes regarding whether a part has changed and why. This will require diligence by all parties involved. These documents have largely been converted to electronic forms, so it is much easier to get the information into the hands of the people who need it. Finally, if you replace a bearing with one that doesn’t require periodic relubrication, you can ensure greasing will not create an issue by replacing the grease fittings. This can be achieved during a rebuild and will involve pulling the current fitting and replacing it with a plug. Not only will this reduce the risk of someone applying grease where it isn’t needed, but it can also be used by both in-house and contracted teams alike. With some attention and effort, you won’t have to play a guessing game to know which bearings are inside your equipment and what that means to your organization. 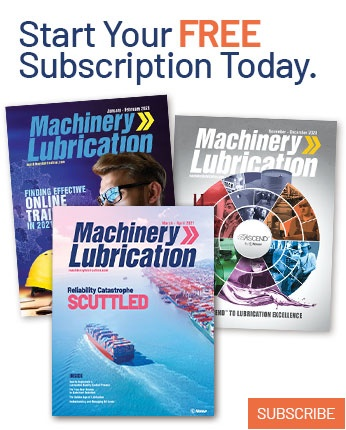 By doing a little homework, you can unlock a wide array of information to improve your lubrication program as well as your overall reliability.